The last things to close this chapter is reviewing the meeting between the stone age societies in New Guinea and Australia with the iron age societies from europe. A portuguese navigator "found" New Guinea in 1526, Netherlands claimed a half in the west in 1828 while British and German claimed a half in the east and devide it in 1884. Firstly, the europeans was settled in the coast, and need a long time to penetrate into the hinterland. But in 1960 the governments of europe has established the restrained political situation over there. The reasons why the europeans colonize New Guinea is very clearly. European people had large ships to cross the ocean and compass to sail to New Guinea. Writing system and printing machine was contribute to make many maps, descriptive stories, administrative documents that was needed to establish the control over New Guinea, political institutions to organize ships, soldiers, and administration, also guns to fire on New Guineans if they fight back with bows, arrows, and cudgels. But the number of european settlers always very little, and now most of New Guineans resident are indigenous. It was very contras if compared with Australia, America, and South Africa, where there were already many european settlers and replace the indigenous people over there. Why New Guinea was so different? One of the main factor how the european settlers was defeated when they try to colonize firstly in lowland until 1880 is the epidemic of malaria and another tropical disease. Among all plans to built the settlement in lowland that was fail, the most ambitious plans was from french marquis, de Rays, approximately in 1880 in New Ireland near New Guinea where the plans was ended by the number of death approximately 930 colonists from 1000 in 3 years. While the european people dead because of tropical diseases from germs, why in the same time the eurasian germs not simultaneously killed New Guineans ? Indeed there are some New Guineans was infected but not in massive scale like in Australia or America. One of the fortune owned by New Guineans was there weren't european settlers until 1880, where at that time there were many inventions to treat smallpox and another zymotic among the european population. Beside of that, the Austronesia expansion has brought the settlers flow and Indonesian traders into New Guinea during 3.500 years. 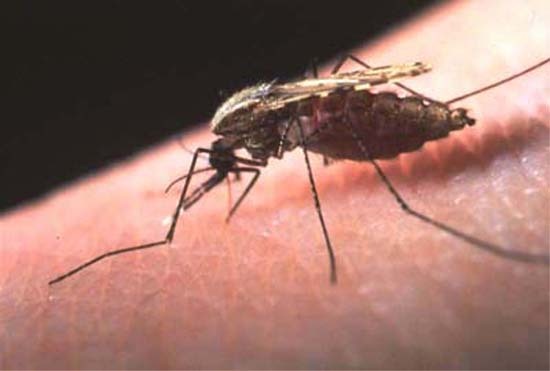 Because of the tropical diseases has been spread in Indonesia, of course New Guineans has gotten diseases and developed the endurance that more strongly of the eurasian germs, compared with Native Australians. The european people that colonize Australia, not the Australian indigenous people colonize europe, because of the same reasons why the europeans colonize New Guinea. But the destiny of New Guineans was very different with Aboriginal tribe in Australia. Now, Australia is populated and governed by 20 millions people of non-Aboriginal, mostly are the european descent plus more asian people since Australia discard the imigration policy called the White Australia in 1973. The population of aboriginal tribe is decreased until 80%, approximately from 300.000 people where the european have started to settled and in 1921 become 60.000 of Aboriginal people. Aboriginal people nowadays form low class of Australian society. Most of them live in the missionary posts or government asylum, or they work for white people as a shepherd in animal husbandry. Why the destiny of Native Australians is worse than the destiny of New Guineans? Aboriginal people of course preclude the european food production, especially because of the region that have potention to become agriculture land and animal husbandry at first is the region, which support the most densely population of hunters-gatherers of Aboriginal tribe in Australia. European settlement decreased the number of Aboriginal people through two ways. 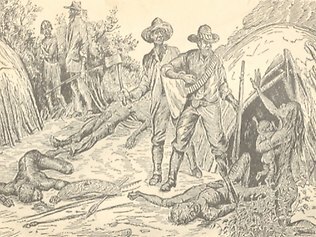 The first way was shoot them, the option that was acceptable by european people in 19th century and at the end of 18th century, compared when they enter the plateau of New Guinea in 1930. The last slaughter with the large scale was happened in Alice Springs 1928 where 31 Aboriginal people were killed. The second way was involving the introduction of european germs while the Aboriginal people never have a chance to get the immunity or experience the evolution of genetic resistance. In one year after the arrival of the first european settlers in Sydney at 1788, the corpses of Aboriginal people that was caused by epidemic have became a common sight. The main killers recorded were smallpox, influenza, typhoid, measles, chickenpox, whooping cough, tubercolosis, and syphilis. By the two ways above, the societies of Aboriginal tribe mostly destroyed in every region that suitable for the european food production. The societies that still survive in the intact condition live in the northerm and western of Australia, which not useful for european people. Within 100 years of europe colonization in Australia, the tradition of Aboriginal tribe that occured for 40,000 years almost disappeared.